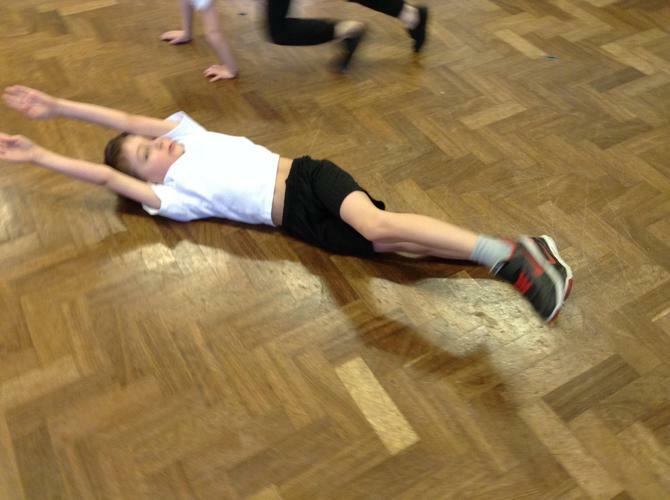 Our star of the week is Max, well done! 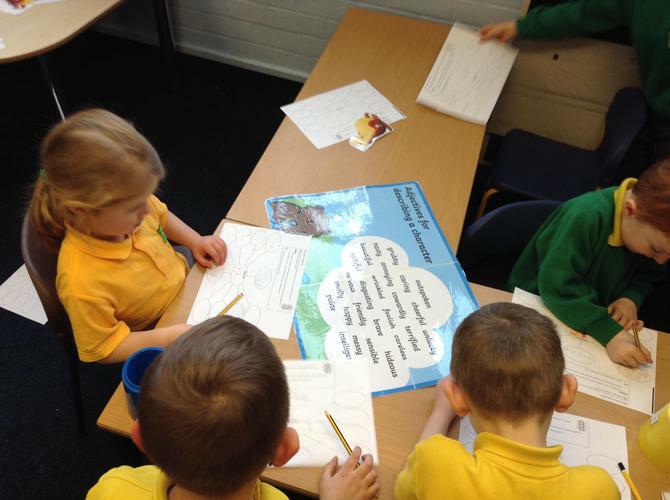 This week we have been reading the story of ‘The Dinosaur that Pooped a Planet’ and making our own story maps for the book. 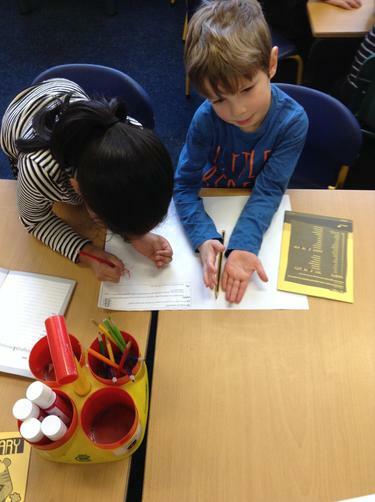 We’ve been sharing our opinions of the book and writing book reviews, as well as character profiles and descriptions. 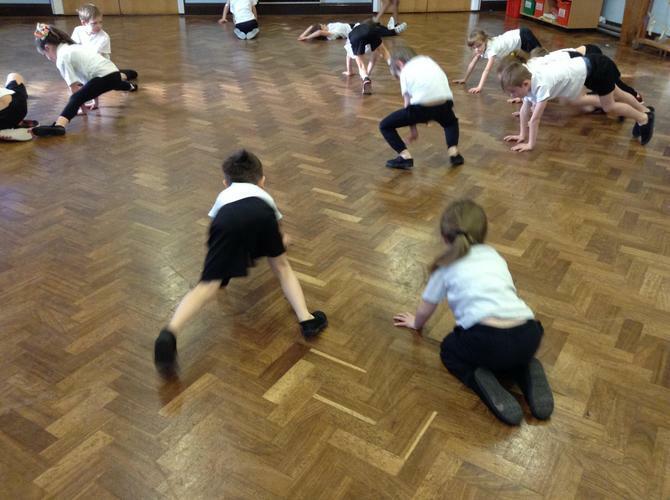 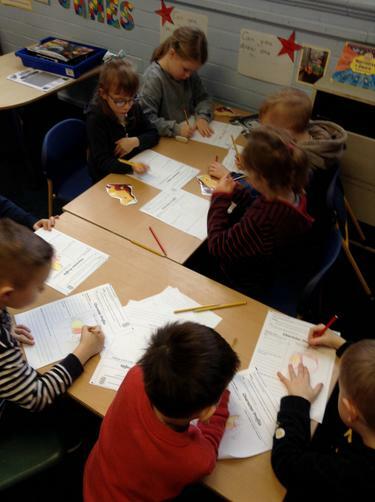 In circle time, we have been learning about what makes a healthy diet. 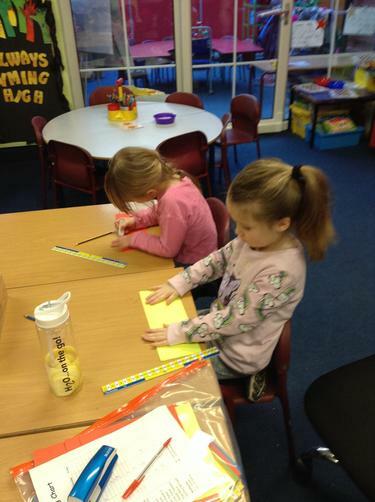 In maths we have been continuing with our work on telling the time, we’ve been drawing hands onto analogue clock stamps, remembering to use a ruler and to make sure the hour hand is shorter than the minute hand. 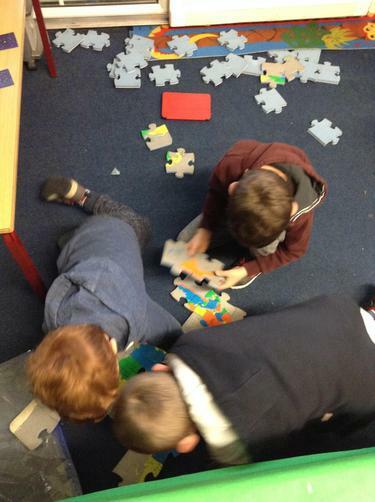 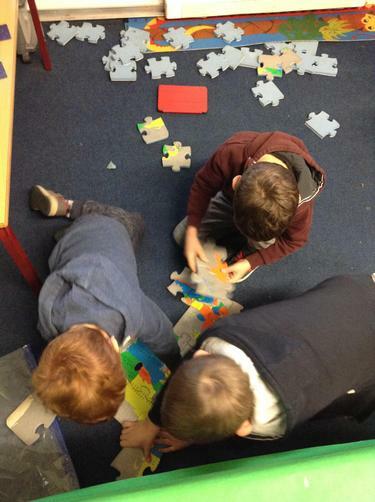 We’ve been learning to match digital times to analogue times too. 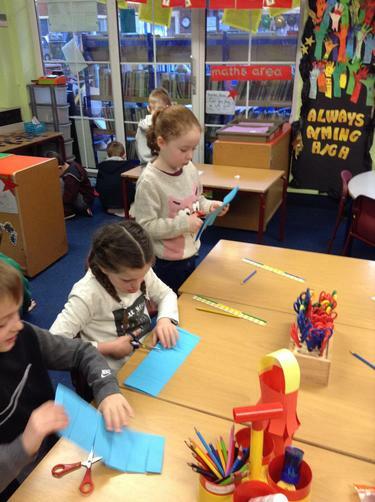 We’ve been learning to tell the time in Welsh too (‘o’r gloch’). 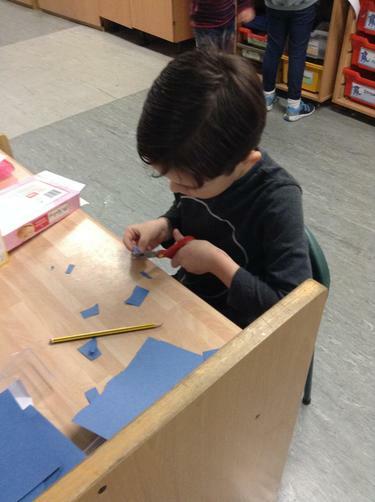 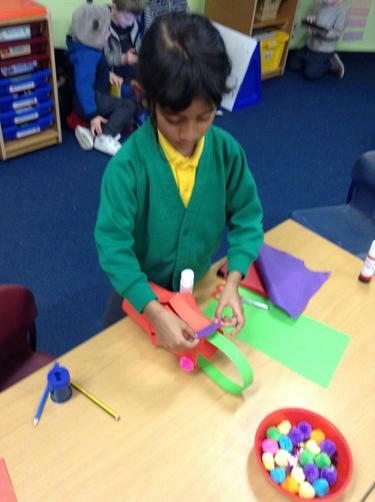 We have been continuing with our papier mache planets by starting to add colour. 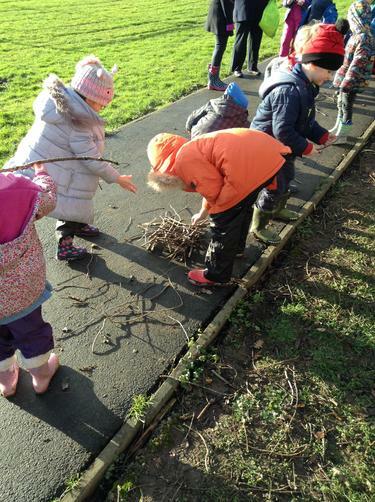 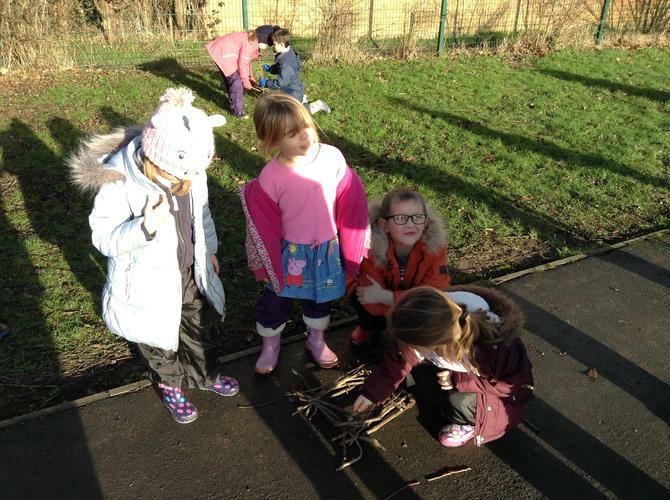 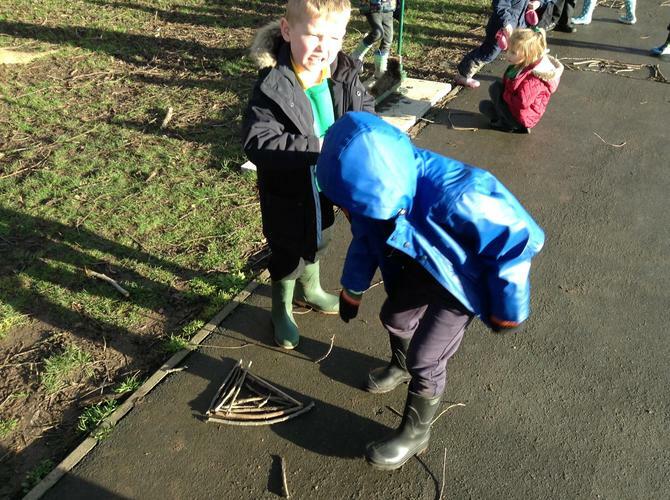 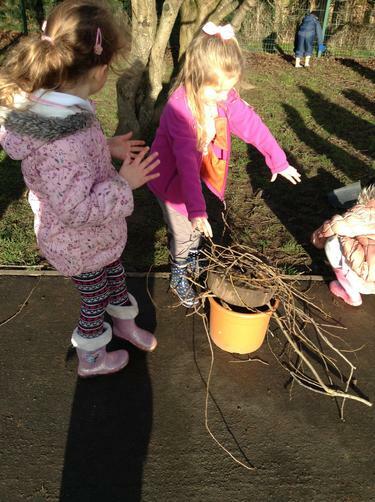 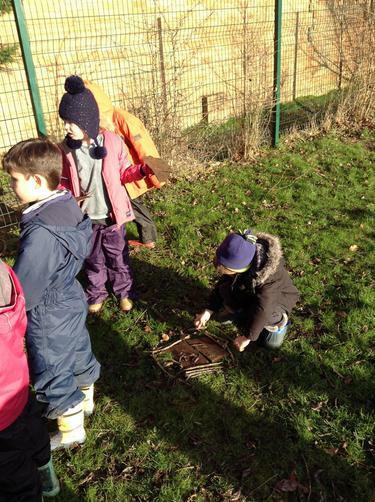 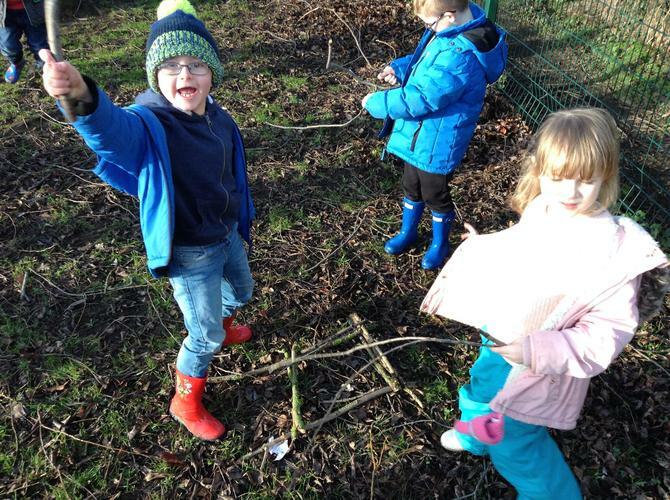 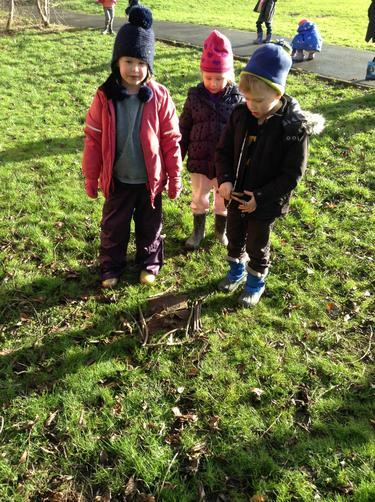 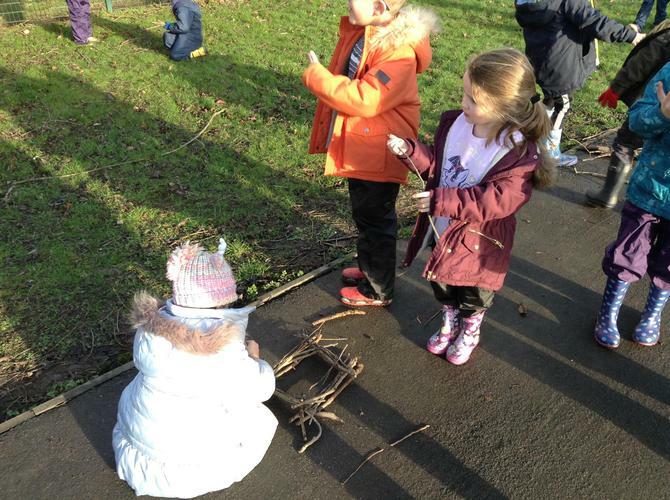 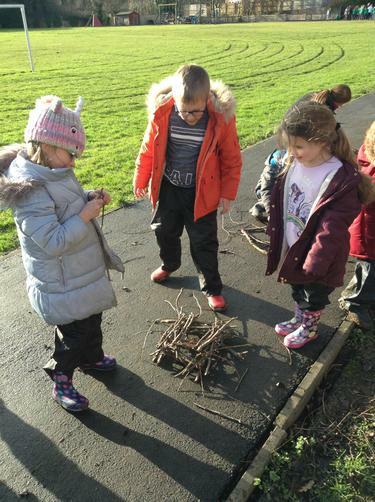 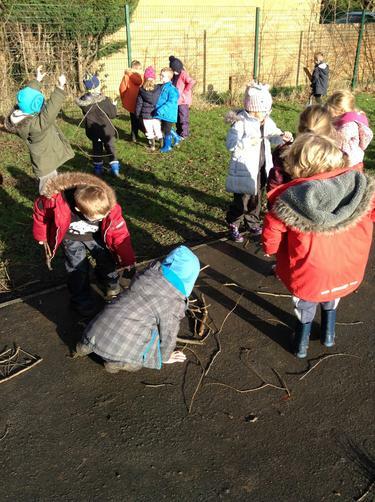 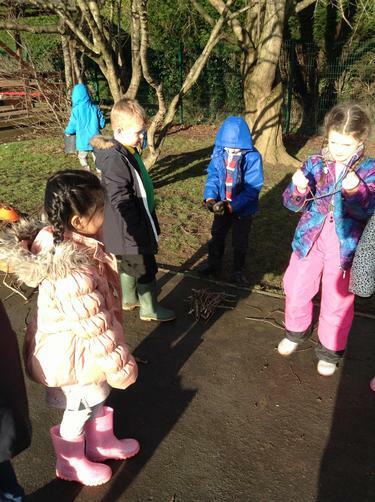 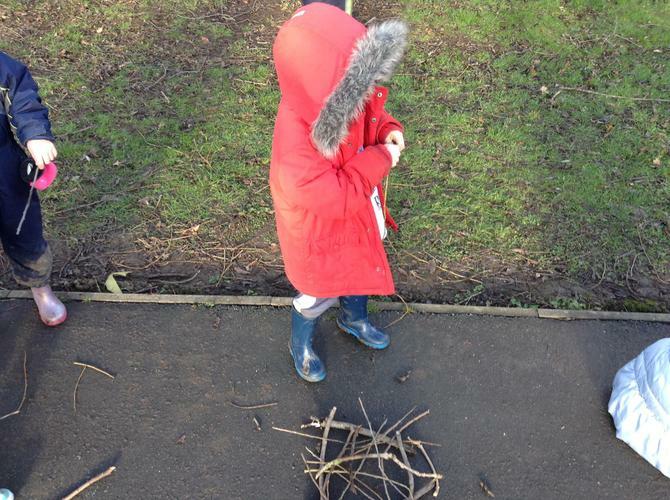 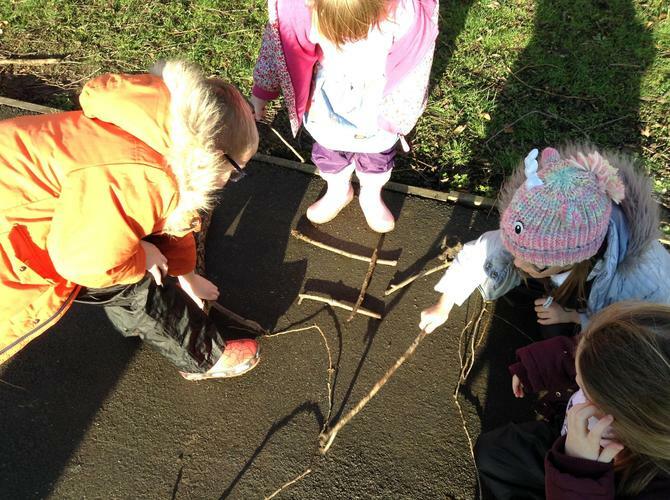 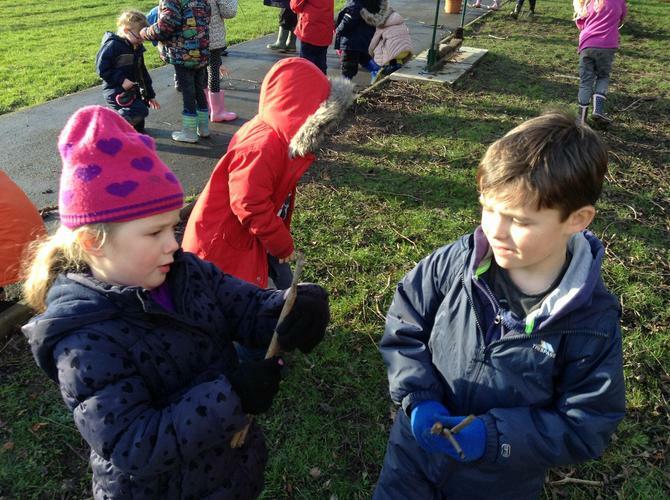 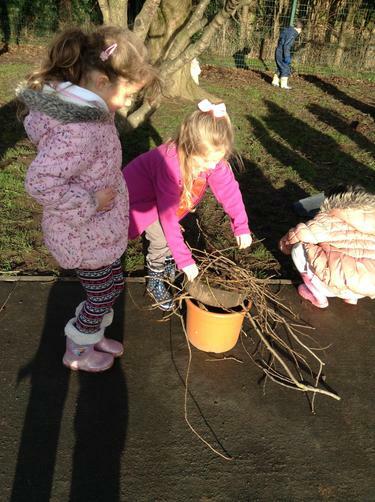 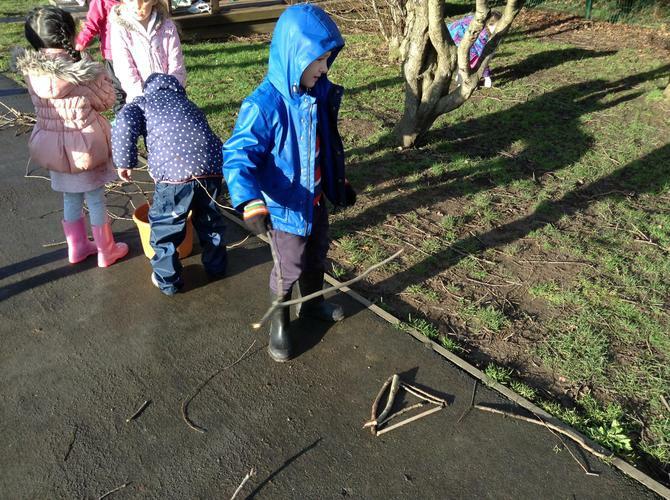 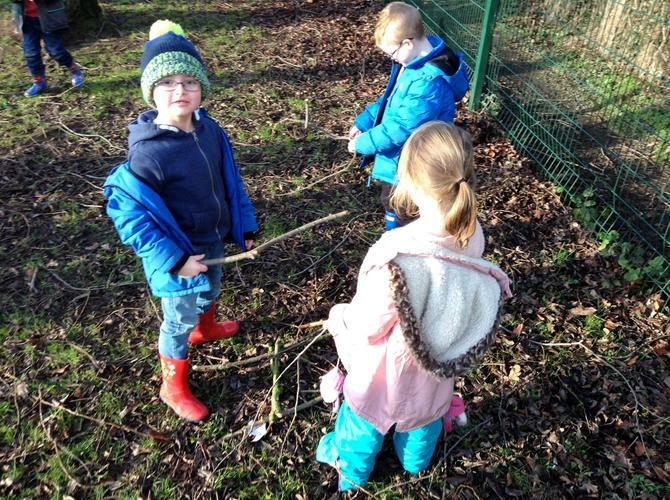 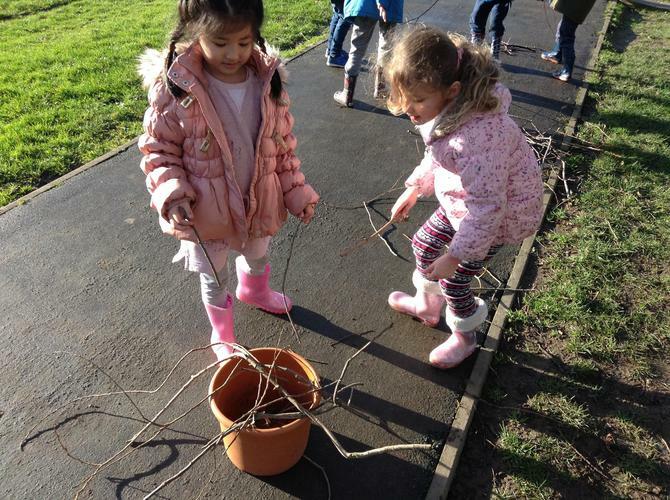 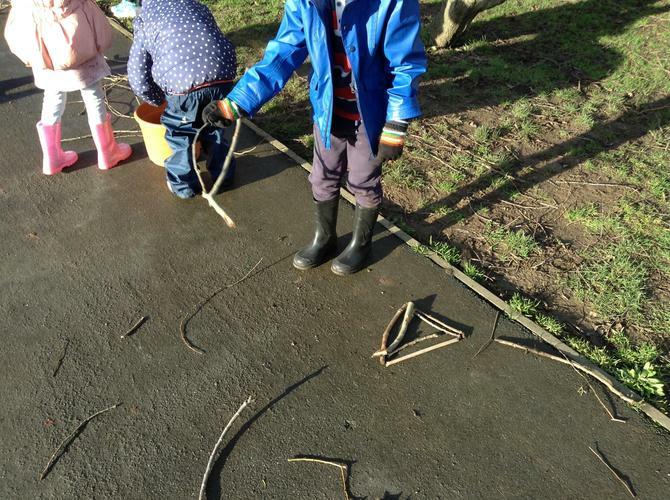 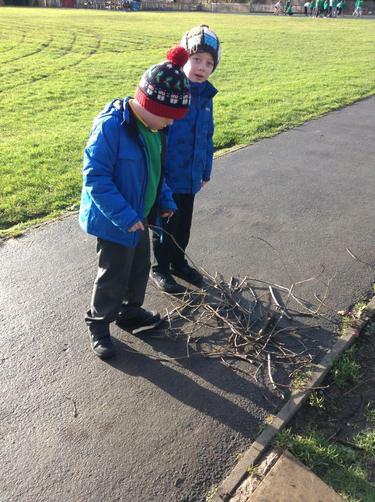 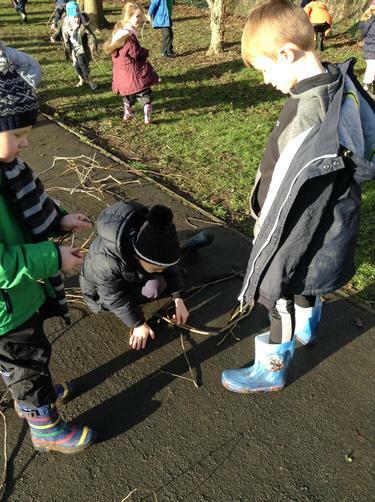 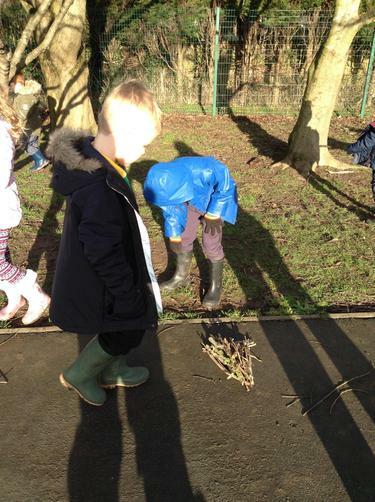 We enjoyed a fun forest schools session making twig towers. 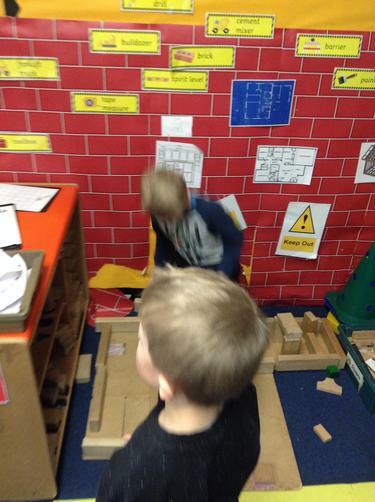 Next week we will be working on creating a Welsh display all about time. 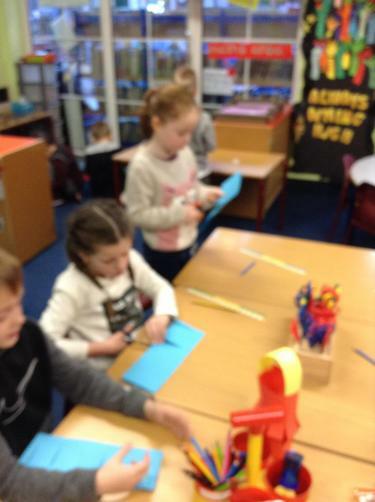 We will be writing Welsh time sentences (‘o’r gloch’ and ‘hanner awr wedi’) and working together to create a big picture of a wolf. 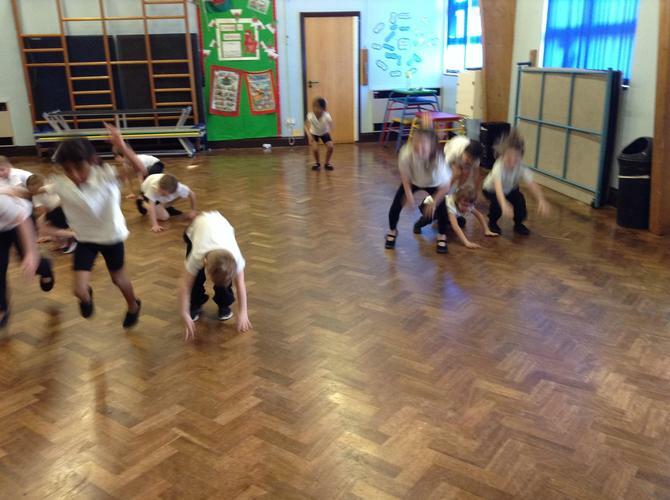 We will be revisiting the story of ‘The Dinosaur that pooped a planet’, focussing on the characters' feelings. 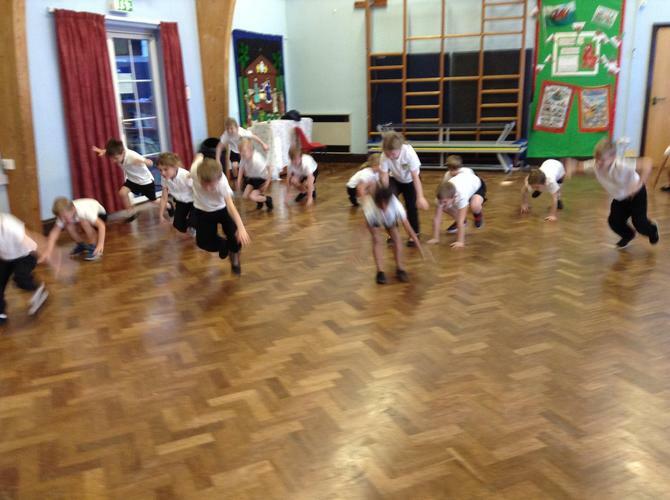 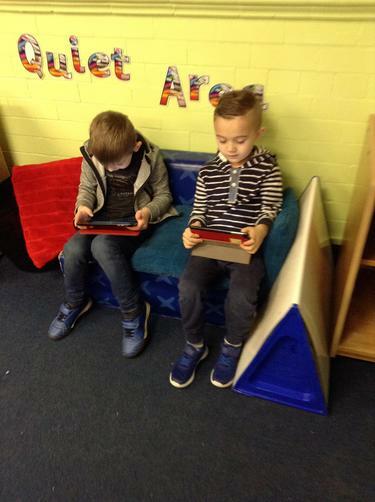 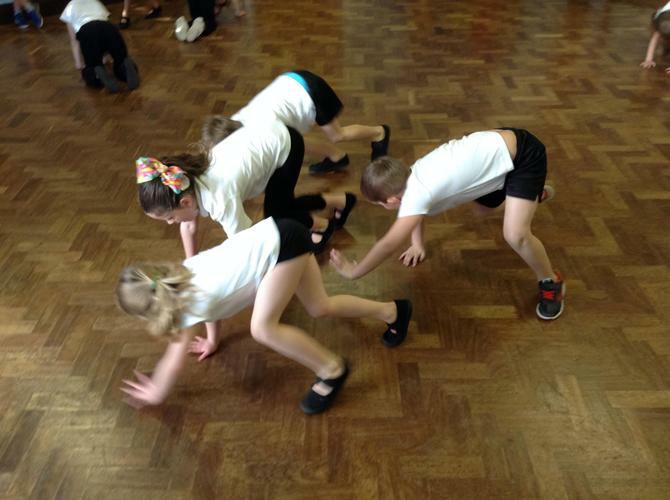 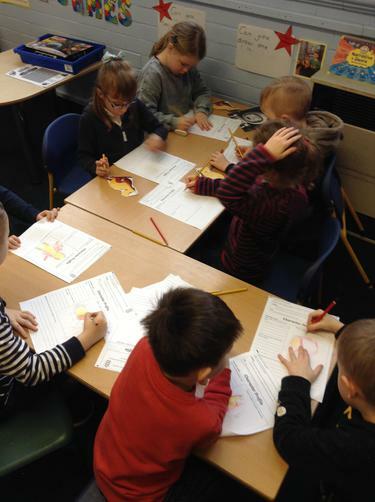 We will be role-playing the story and ‘hot-seating’ the characters. 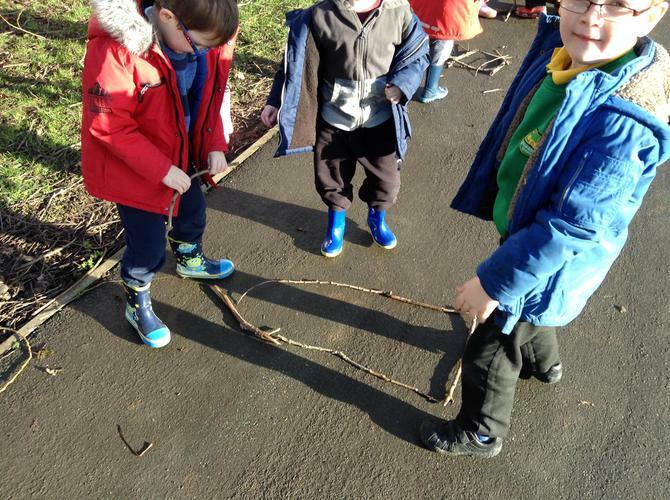 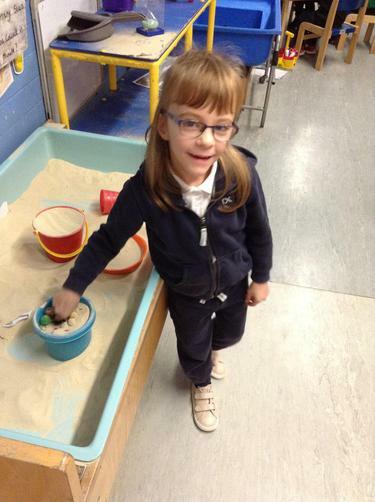 In circle time, we will be thinking about the people that we value in our lives and who helps us and how. 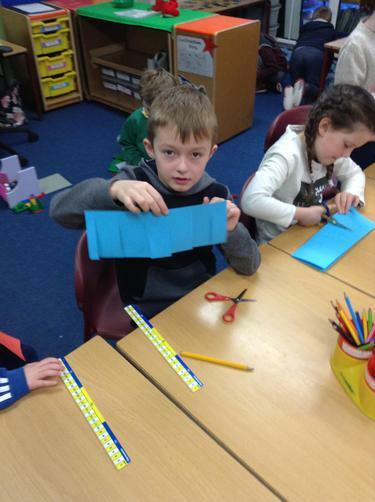 In our maths work, we will be learning about odd and even numbers. 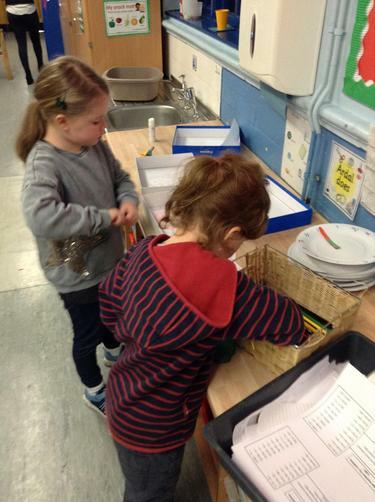 We will be sorting two digit numbers into those that are odd and those that are even. 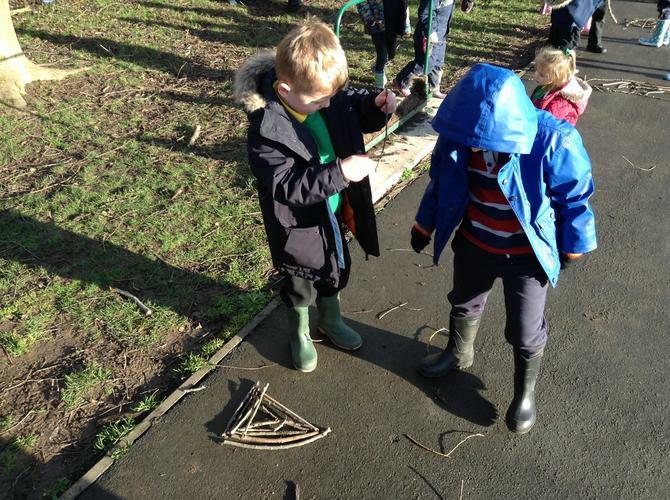 We will be going for a short walk around the houses across the road from school, looking at the way that house numbers are sorted into odd and even.